One day, seven lakes, five towns, the Andes Mountains, and the wild outdoors. An amazing trip, and there is no better way to maximize your sight seeing experience around the Lake District. 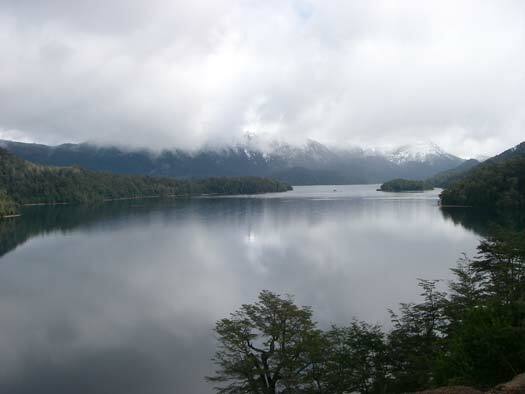 Here are the facts on a road trip from Bariloche that will weave you through the Patagonia Seven Lakes crossing. A car rental is a highly recommend expense to consider on this adventure. The wildlife and nature provide intriguing views with every turn of the tire and you will appreciate having the freedom to place a foot on the brake and pull over whenever you feel the desire. There is only one main road heading north out of Bariloche and that is the one you are looking for. Highway 237. Shortly after leaving the city limits you will come to a turn in the road. Here is where the first decision needs to be made. There are two routes that you can take on the seven lakes crossing. One may be more desolate, one more bumpy, one a little faster. On one you may feel lost in the mountains, and on the other you may feel like you are on an endless highway. But both are beautiful and have their own benefits and rewards. If you have rented a car and plan on returning it to the same location as I did, why not get the best of both worlds? We took a last minute left heading toward Villa La Angostura and eventually made a big loop out of the road trip to see both paths. I was initially surprised to see all of the development in Villa La Angostura. It is a beautiful fishing village but with many big city influences. Many Porteños head here in search of an outdoorsy yet posh get away. You can fish by day and shop by night. The Aluminé river has been the setting of many fishing tales and runs straight from this town onto the next two: San Martin de los Andes and its neighbor Junin de los Andes. They are both enchanting towns surrounded in mountains. The tip of Volcano Lanin sits in the near distance and watches over all of the spectacular mountain and water vistas. 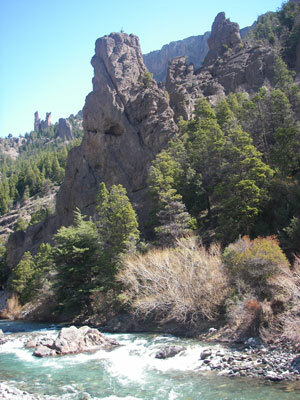 Fishing is a specialty in this area and there are endless hiking options. 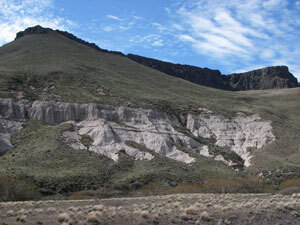 As you continue on past Junin, the mountains begin to level out and the climate gets drier. 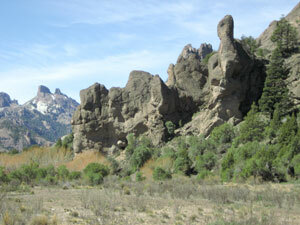 For a part of the trip, the vegetation is replaced with big rocks and boulders. Make sure you pull over to the Andean Condor look out where you can spot the largest flying bird in the western hemisphere. The condor is very important and symbolic within Argentina. They inhabit these vast territories and graceful soar high above in the neighboring cliffs. You can read about the impressive creature from the signs posted within the look out spot – in either English or Spanish – and you’ll gain a better understanding of the life and significance of the Condor to the indigenous people of Argentina. Back on the road now. The next sight seeing wonder is Valle Encantado. When you reach the Enchanted Valley you will witness mother nature’s handy work. For years the numerous boulders and rock formations of this area have been molded with rain and the famous Viento del Sur, the Wind of the South. Most notable among them are the Finger of God, the Castle, and the Penitente. A quick side trip within the Valley is a must; there is no way you can come all this way and not see Villa Traful. Of all the views, I would have to say that what I saw from the look out spots in Villa Traful was a personal favorite. Words can hardly do it justice; even the picture can’t capture its beauty. The small serene town is nothing but a speckle along side the enormous Lake Traful which appears to be fenced in by the mountains that hover over the small village in all directions. The town and people living there are just as charming as their surroundings. A short hike to the nearby waterfall is a great way to stretch your legs and top off the trip. 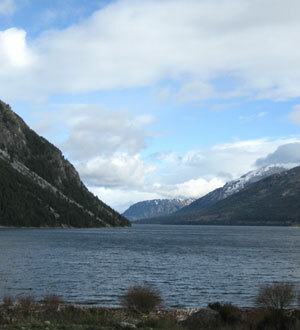 Once you get back in the car you will once again pass through the Valle Encantado and be back on the road to Bariloche. It’s smooth sailing from there. If time permits, any of these locations would be great stopping grounds for a night. Various forms of lodging are available all along the way and you won’t find a better place for a night of camping under the stars. This page rendered in 0.027 seconds.